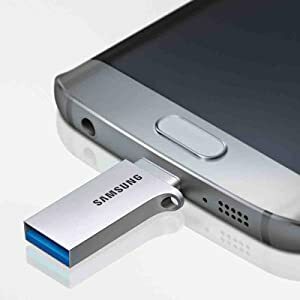 The two-in-one Samsung USB 3.0 DUO 64GB Flash Drive with OTG technology features both standard and micro USB connectors, making it ideal for transferring files between smartphones, tablets, and PCs. This versatile flash drive lets you transfer large files in seconds thanks to SuperSpeed USB 3.0 technology, which delivers speeds up to 130 MB/s. The metallic flash drive is both slim and durable and incorporates Samsung 5-Proof Technology that makes it waterproof, shockproof, temperature-proof, magnetic-proof, and X-ray-proof. Designed for maximum compatibility with all your devices, the Samsung USB 3.0 DUO Flash Drive is backwards compatible with USB 2.0. The slim and stylish Samsung USB 3.0 DUO 64GB Flash Drive features a unique design with a standard USB connector at one end and a micro USB connector at the other. This dual functionality makes it convenient to transfer files from your PC to your smartphone or tablet and offers portable storage for computers as well as mobile devices. An integrated cap protects the micro USB connector from damage when not in use. 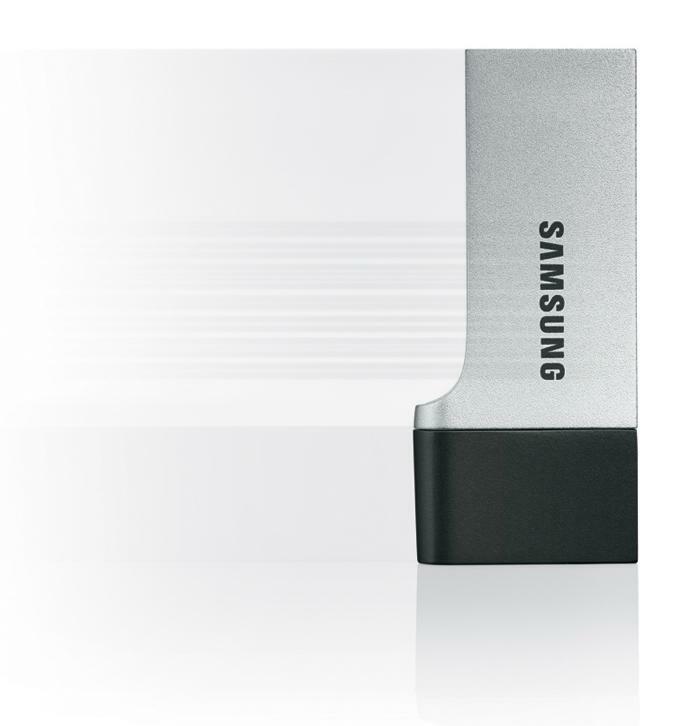 The Samsung USB 3.0 DUO Flash Drive keeps your important files safe thanks to its durable metal casing and NAND Flash technology. 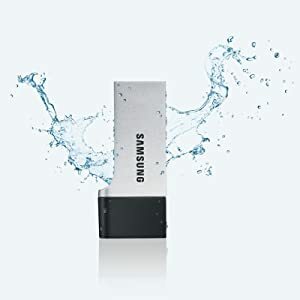 Samsung 5-Proof Technology makes the flash drive waterproof, shockproof, temperature-proof, magnetic-proof, and X-ray-proof, so you can bring it everywhere with the confidence your data will be safe. 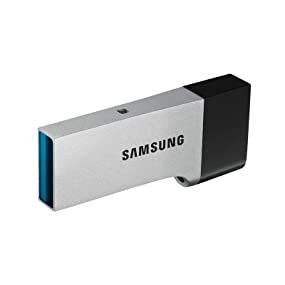 The Samsung USB 3.0 DUO Flash Drive uses SuperSpeed 3.0 technology and gives you transfer speeds of up to 130 MB/s, so you can transfer and back up large files from your computer in seconds. Generous 64GB capacity lets you store thousands of photos and hundreds of hours of music on a compact drive that slips easily into your pocket. This flash drive is also backwards compatible with USB 2.0, offering reliable file transfers for devices that are not equipped with a USB 3.0 port.